**Note, you'll find more detailed reviews, but you can also click links above to see current prices and read customer's reviews on Amazon. What Do Bow Hunters Of All Skills Look For? 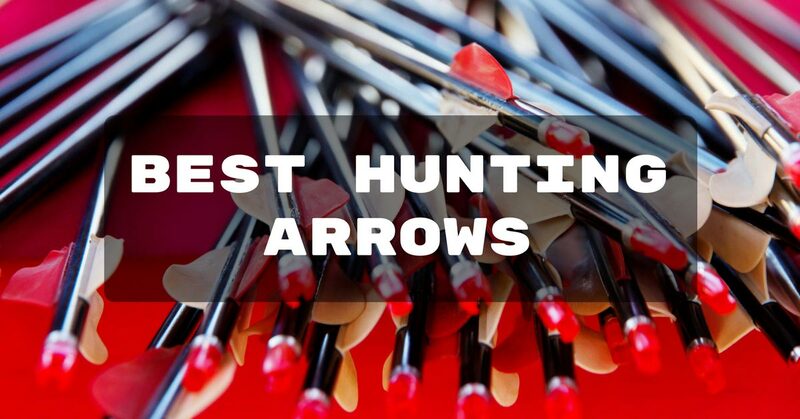 There are definite attributes to look for when buying hunting arrows for your crossbow or recurve bow. Which arrows will work best with which bow? Are these arrows faster than the other types of arrows? The arrows I’m thinking about buying are they really worth the price? Will I feel comfortable shooting these types of arrows? These are some of the questions you should consider asking yourself when purchasing hunting arrows. Bow hunters from all over the United States look for different aspects when they purchase the best hunting arrows. Such as what is the arrow made of carbon or wood? Aluminum arrows are considered as well. Bow hunters will also look to see if the arrows are heavy or heavy and skinny. Animal hide penetration and the speed of the arrow are other important factors your typical bow hunter will think about. Arrow toughness is always a top priority when it comes to buying an arrow that will complete the job. Hunters want an arrow that will be durable and will not break when digging into the toughest animal skin. No matter what animal you are hunting or what region of the country the hunting takes place you should consider buying the most durable arrow to meet your hunting needs. One surprising fact that I found was that hunters don’t necessarily base their buying decisions on how cheap the arrow is. They are not very concerned with buying the cheapest quality arrows. They are willing to pay higher or much higher prices to purchase a very good hunting arrow. Bow Hunters, in this modern day, seem to be switching their preference from aluminum based arrows to carbon-based arrows for accuracy reasons. The carbon arrows don’t bend like the aluminum arrows. The carbon arrows are lighter per inch than the aluminum arrows but they are stronger and have more durability. The carbon arrows remain straighter in flight and penetrate the animal’s body without bending. This helps the arrow to stay on a straight projectile once it enters the target. 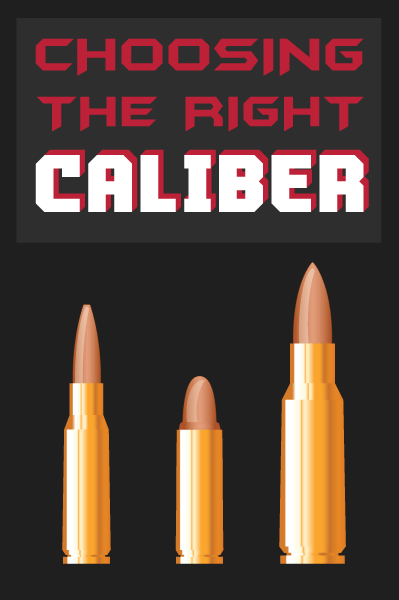 The chances are greater for an accurate shot to hit in the vital area and killing the animal instantly. Also, carbon arrows fly at a higher velocity than aluminum arrows allowing for greater accuracy when the bow hunter makes an error in range estimation. I really like the carbon arrows over t﻿﻿he aluminum arrows. I found that carbon arrows don’t have straighter advertised specifications than aluminum arrows do. They remain truer to their specifications than aluminum arrows will to their specifications. For example, both arrows may have a specification of plus or minus .003” when they are originally purchased. This quickly changes with aluminum arrows because after some shots they will bend right out of their original tolerance. The carbon arrows, on the other hand, will stay within their original tolerance after hundreds of shots. This is beneficial over time. Carbon arrows will not retain this “bent” memory that aluminum arrows develop. Also, the carbon arrows are as good in quality as the aluminum arrows and they are comparable in speed. I find that carbon arrows will last much longer and will be easier on my pocket book. I won’t have to buy as many carbon arrows as aluminum arrows. I am willing to pay higher prices for the carbon arrows because their value will last longer than the aluminum arrows. What it really comes down is what features make the most sense to you in picking the best hunting arrow. You may consider where you will be hunting and what type of animal you will be hunting. You should consider what will be the best arrow weight for your bow. You don’t want to buy an arrow that is too light it will damage your bow. The effect of firing an arrow too light for your bow would be like dry firing your bow. (Firing the bow with no arrows.) You will eventually damage the bow to the point you cannot use it anymore. The string and limbs on the bow will be damaged if the bow is shot too many times using arrows that are too light. The bow is designed to shoot an arrow with a specific minimum weight tolerance. You keep shooting arrows below that threshold you are asking for trouble. Bows need arrows heavy enough to offer resistance to slow them down. The lighter arrows make the bow and strings move too fast which will damage your bow down the road. Look at it this way. Shooting arrows too light on your bow is like putting your corvette in neutral and slamming the gas pedal to the floor. The parts will move too quickly and eventually burn out the motor. Remember, you can injure yourself by shooting a damaged bow. ​Let’s migrate into the reviews. These carbon crossbow﻿﻿ arrows are made in the USA. They have 425 grains with a 100-grain practice point, they are made of Carbon fiber, and these arrows are equipped with fusion shield cut Q 21 vanes. The bolts are durable and hold up very well. Arrow passed through a deer completely and wasn’t visibly damaged. Unlike aluminum arrows, these carbon ones are very durable and they never bend. Ten Point marking on fletch lets you load the arrow clearly on the bow in low lighting conditions. Fletchings are now designed a little wavy. They used to be straight. Packaging the arrows came in was broken up and damaged. The arrows are way too small for the box. Fletchings could be marked on both sides for easier loading of the arrow on bow. Higher priced arrows may pinch a smaller budget. One of Best Carbon Arrows. These dynamic arrows come fletched with Blazer vanes, Launchpad precision nocks, and Bulldog Nock collars. High-tech carbon material construction controls dynamic spine in a way which has never been seen before which allows for broadheads to fly faster and straighter. Maxima Carbon Express Arrows shoot very accurate every time. New Broadhead technology allows for faster and straighter arrow flight. High-Tech Carbon construction helps broad head arrow fly better. These Carbon arrows are high priced but worth every cent. Factory made inserts are too light. You must go with a heavier 45-50 grain insert. Red and Yellow arrow vane color combination unattractive. Easton, the maker of the arrows, has great customer service. Arrow bow weight range is ideal for women hunters/younger hunters. These Jazz Aluminum arrows came completely put together. The buyer didn’t have to put anything together. Feather Fletched arrows are ready to shoot out of the package. These XX75 arrows came in a sturdy triangular shaped tube. These arrows aluminum shaft arrows dent when hit by another arrow. Purple, pink and dark purple shaft color scheme unattractive. These arrows are good for shooting with a draw weight of 40-65lb. bows. The arrow length is 30-33”, shaft diameter is 8.0mm. The arrow is made of wood with metal arrowhead and three black feathers. The arrows are nocked and fletched and they ready to shoot, the best traditional arrows on the market. They are great for bow hunting and target practice. These are very good quality arrows for hunting and regular practice shooting for recurve, compound or long bows. The arrows shoot very accurately. Arrows work great for practice shooting and hunting with recurve, compound and long bows. The A-803 arrowhead tips are unbeatable. They are very solid. Great quality arrows. Arrows look like the old traditional ones. Great customer service by the Hunting door Arrow Company. Nocks are poorly constructed. They are V’s cut into the end of the shafts. Arrow points are loosely fitting. The arrows threads came unraveled before the customer ever shot any of the arrows. These arrows are built for hunters who want maximum penetration into their target. They are the heaviest carbon cross bolt in CX lineup creating maximum kinetic energy and the greatest knock down power. The arrow construction guarantees spine consistency for greater shooting accuracy. Great hold up power on impact giving exceptional reliability and repeat performance. The bolts come with 4” standard vanes and inserted moon nocks. They also have six universal flat nocks. These Carbon Express Pile Driver bolts are as good as the old carbon surge bolts. Comes with moon nocks and universal flat nocks at no extra cost. The Pile Driver arrows are the best arrows in this price range. 4 inch vanes help to stabilize the arrows quickly. These Pile Driver arrows don’t come with field tips. 4 inch vanes will slow this arrow down by 15-20 fps. These arrows don’t come with standard practice 100 grain field tips. Carbon Express Maxima RED Fletched Carbon Arrows with Dynamic Spine Control and Blazer Vanes are the preferred arrow of the five arrows reviewed. Yes, they are higher than the other arrows but they are worth the price. They were the only arrows laser checked for straightness to 1/10,000 of an inch this is amazingly accurate. These arrows consistently shot with greater accuracy than the other four arrows. These arrows also were the only ones with the new carbon design that controls dynamic spine better allowing for a faster and straighter arrow. The other arrows didn’t have this design feature. Considering the factors discussed in the value section this arrow met or exceeded the attributes hunters would look for in buying an arrow. This arrow I consider to be the best carbon arrows because they are straighter and shoot with better accuracy. They are worth the price and they will not bend like aluminum arrows. They maintain their shape after many shots. They last a long time and don’t have to be replaced as frequently as aluminum arrows giving them greater value in the long run. These arrows sink into the hide of the animal maintaining a greater penetration then the other arrows. These arrows fit all the desired attributes a customer would look for when purchasing new hunting arrows.